It’s election day in America. 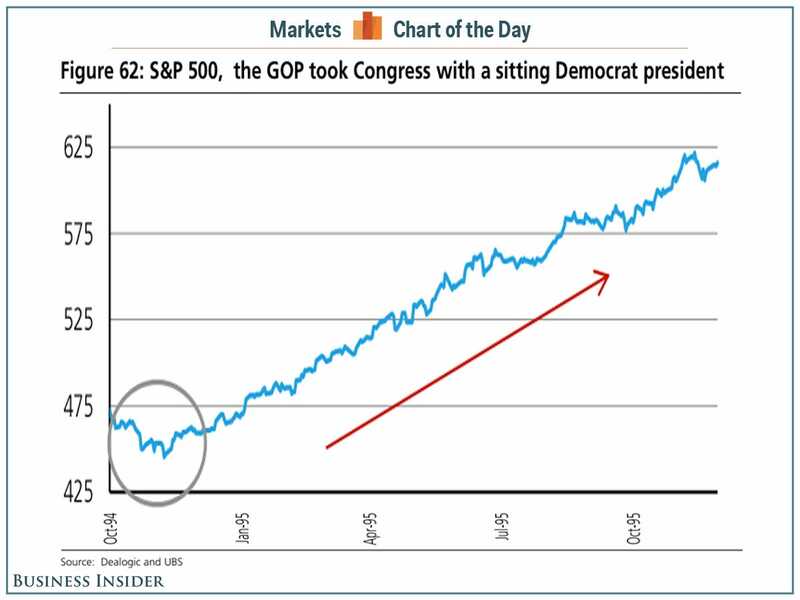 The historical stats show that stocks usually rally in the months following a midterm election. However, polls show that after the votes are counted Republicans are likely to take a majority in Congress. 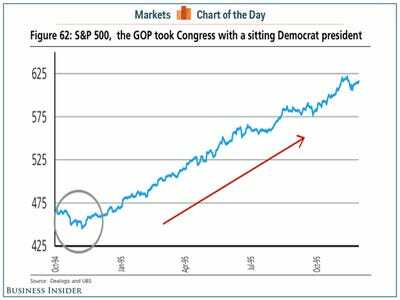 Keep in mind that President Barack Obama is a Democrat. Would this make things particularly bad? Some would argue that gridlock can actually be bullish for the stock market. UBS’s Julian Emanuel considers the recent history. “Gingrich and the ‘Republican Revolution’ steamroll Clinton & Co. in 1994’s midterms,” Emanuel wrote on Monday. “Markets pause, hesitate, then begin a bull run in 1995.